No estimated ship date. Please call for details. This half mannequin is jersey-covered. The model fits children's size 2. 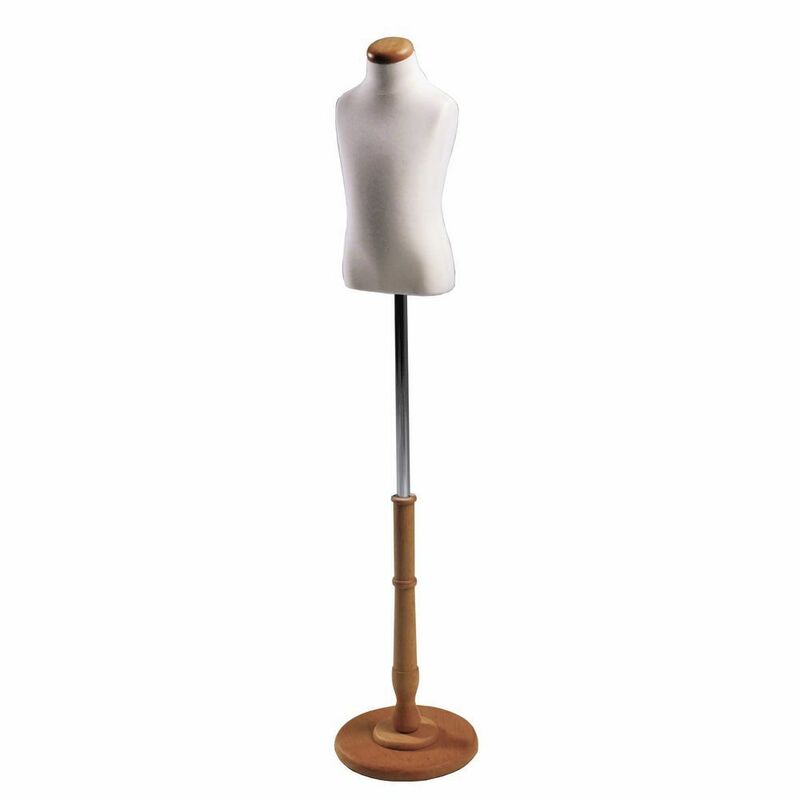 This half mannequin features a wood base with a natural finish. The model features a 7/8" flange. This half mannequin is cream colored. Kids Mannequins is specifically for ages 8-10 years old.